This is brought on by the competition being run by the Girls Gone WoW podcast gals, so blame them for this. 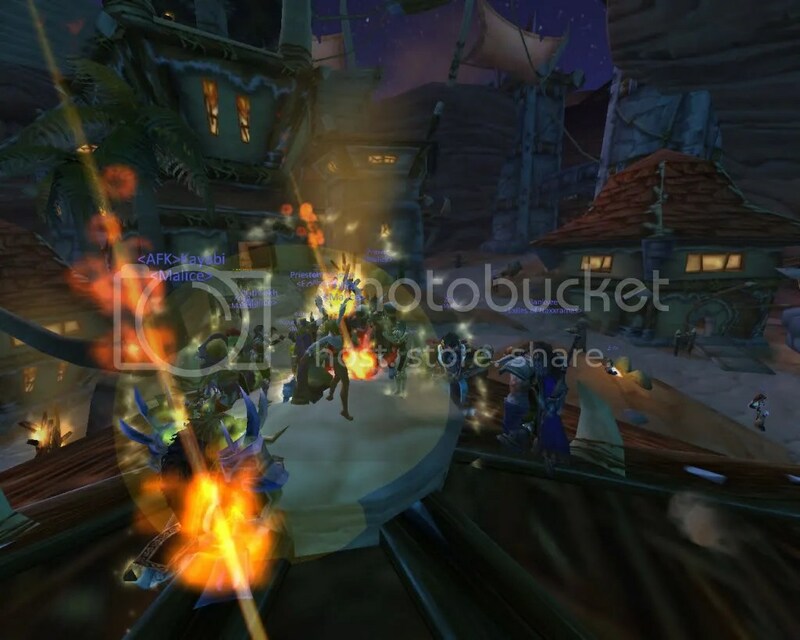 Back in TBC I was in a guild on Alonsus EU, horde side called Malice. Sadly due to losing a few members and the GM quitting the game it was decided the guild would disband. But the night before all the available members got together and decided to have a naked dance party on the roof of the Orgrimmar bank. People from other guilds joined in, the AoE spam played hell with my PC but what the hell, and then it was decided to take it to Shat’trath to see if we could get the allies to join in. 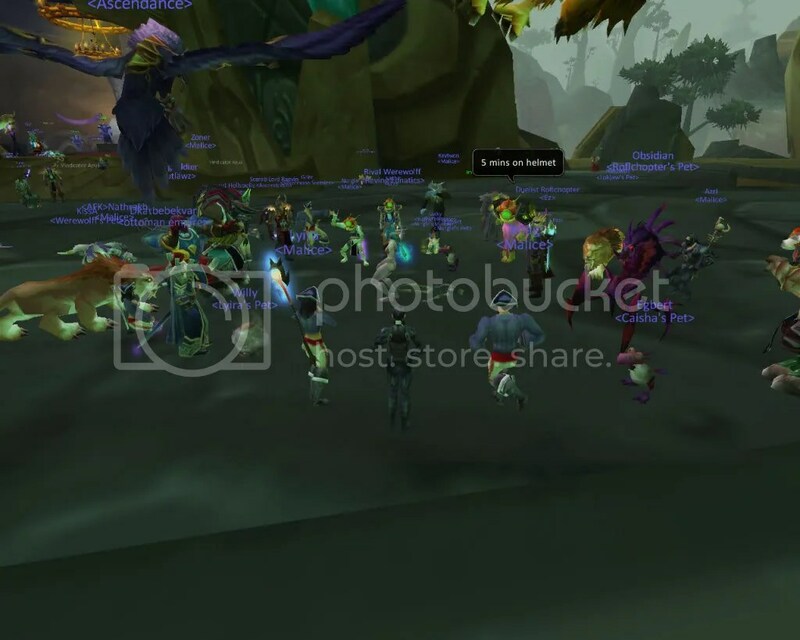 At the time the top guild was an ally guild with a Scarab Lord as a main tank. The guild had something of a rep of being very elitist and arrogant, especially this tank guy. But lo and behold they joined in with our dance party, though all still in their shiny epics. So we formed a plan. A few of us mounted up on our flying mounts and used emotes to get Mr Scarab Lord to follow us up as high as we could go. Then we dismissed our mounts. He did that too, expecting a mass suicide. Except we all had slow fall devices (the engineered parachutes, slow fall, levitate) and he went splat in all his shiny gear whilst we floated down to earth and danced round his corpse. To be honest maybe it was funnier when you were there… He took it very well though, even the repair bill. Anyway, the guild disbanded the next day but we had a good last evening together. And the Scarab Lord? A few weeks later he took all the valuable stuff from the guild bank toon he controlled and transferred server. Oh, the drama. But anyway, I still have the screenies! !